As a Nashvile native and resident, I love it! One thing, it's a bit of a shot for the stadium to be in the heart of downtown, looking over the Cumberland, and facing the Capitol. 1) downtown doesn't stretch across the river (just the Titans' stadium). 2) the only spot where a stadium has a view of the Capitol is where the Sounds' stadium is on the east edge of downtown. I know it's kind of picky, but I'm obsessed with stadium design and my great city. Honestly, I just looked at a Google map and made something up. 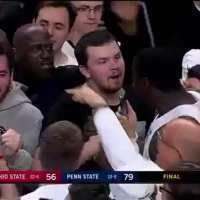 Stadium locations aren't what I'm concerned about. Who knows, maybe the downtown area changed since 1996. What's that C in the sig? A sneak peek for ?Chicago? How about my Angels beating up on your Rockies today! Cmon people, anything? I know there's more than three of you out there. I really like what you've done with the Blues. The color scheme, vest design, and fonts all look fantastic (especially with the bars on the numbers). My only issues with the set revolve around the "N" logo. I think the bass is a little bit too forced into the font, which leaves the outline looking a little bit awkward. It's more noticeable close-up than from a distance, so I would suggest either tweaking its size or placement to even out the look. Other than that, I've thoroughly enjoyed how this series has progressed, and I can't wait to see the next five teams! As a Nashville resident, well suburbs at least, I give the Blues a 10/10. The colors are great and I like the logos. I will have to deduct points tho for using the name Blues since the Preds are rivals with the St. Louis Blues I can't wait for the final teams! I agree about the note being forced. Could you flip the note upside down? Then it would be in base clef, but it might not give as clear of a message. But as of right now, it looks very awkward having the note cut into the navy outline. I like Nashville a lot! The note in the N I agree looks forced. 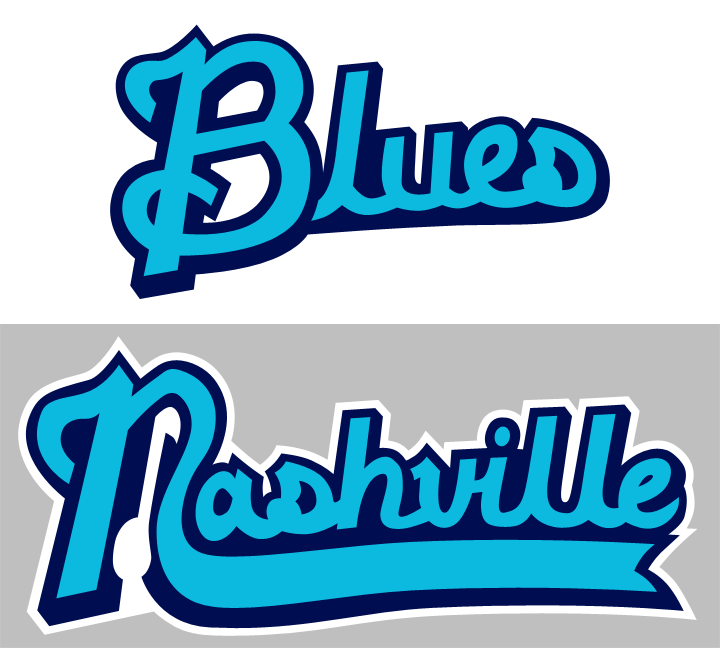 I would also like to see a logo using the Blues wordmark. I love that script, I think a logo using that script would look great. Keep up the great work. I definitely like the idea behind Nashville. 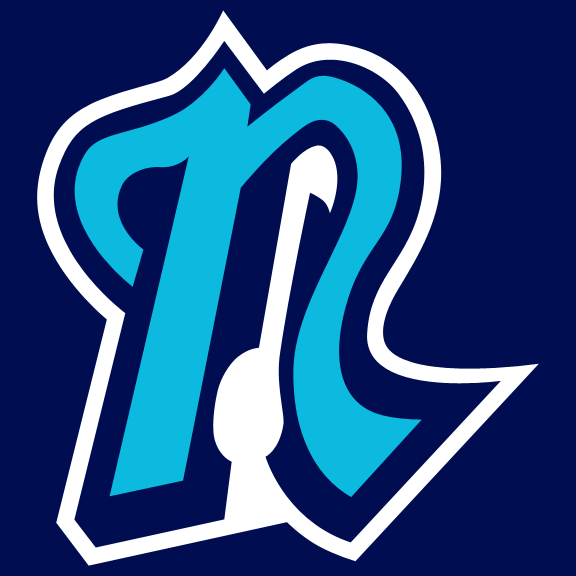 The color scheme is excellent, the "N" logo and scripts have a nice bluesy feel to them, and the light blue numbers and vests create a good color balance. There's some tweaking that could be done, though. As others have said, the note in the "N" logo just feels too forced. It doesn't flow very naturally. I would either try to work one side of the letter into a note or drop the idea all together. On the Blues script I would make "lues" a little bigger. Right now the "B" overpowers things, and it's especially noticeable on the home jersey. On the Nashville script the Ls are a little too far apart. Lastly, I would go with MLB block for the numbers. The serifs combined with the bass lines are a little busy. Words can't describe my approval for all of these logos, they're amazing. I personally think is a big upgrade nice work! That looks better, but it's a lot harder to tell there's a music note in there. Have you tried adding an oval to the bottom of the left stem and making it look like an eighth note? The flag would be backwards, but that could just be one of those realistic things that people complain about. Another minor update: the scripts. I enlarged the 'lues' and tightened up the road mark, I think it looks a lot better. As you can see, I left the N alone on the road and there's the tail; I'm not going to do anything with that until I finalize the cap logo. The tail won't be on the road jerseys, but this was just the easiest way to present this. Mbannon, I'm having a tough time picturing what you're saying. Adding an oval to the bottom left... puts it back to where it was before I updated. Is that what you're saying? Yeah, I figured that might not be to clear. Here's a quick, crude drawing I did in Snapchat (don't have my computer this weekend lol). 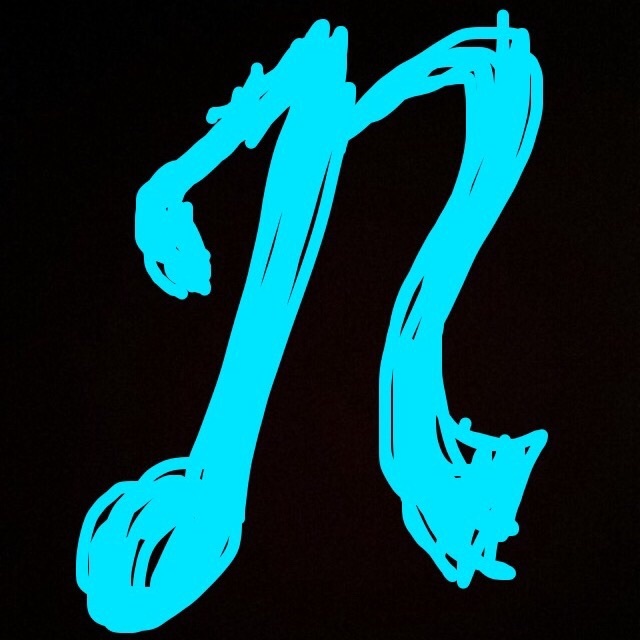 So scrap trying to fit the music note in the middle, and make the whole left side an eighth note (kind of). I liked that idea better originally, but CJWorks(?) 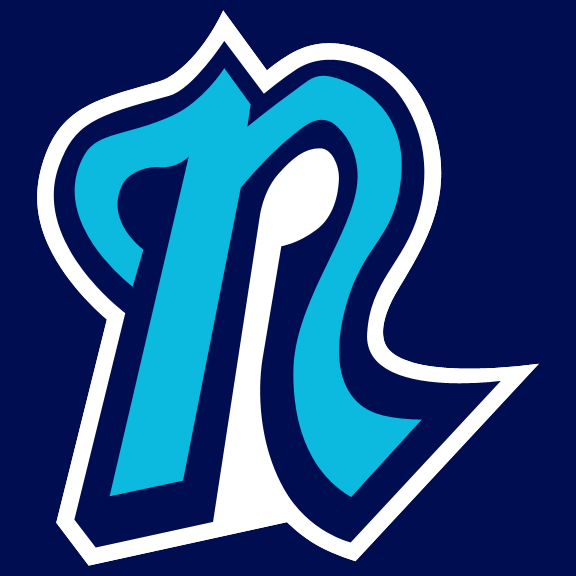 did a fictional league with a team called the Blues and had a logo nearly identical to that one. Granted, that was probably 6-8 years ago, but Id rather stay away from that look.